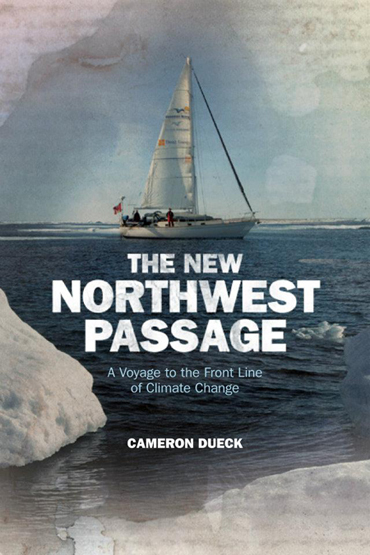 Le livre et le film: The New Northwest Passage. Interview exclusive! Le skipper et journaliste Cameron Dueck a publié il y a quelques mois un livre polaire en anglais qui retrace sa traversée du mythique et célèbre Passage Arctique du Nord-Ouest. Son ouvrage s’intitule The New Northwest Passage (Le Nouveau Passage du Nord-Ouest). Veuillez trouver ci-dessous une interview et des photos exclusives prises le long de son expédition. Et, regardez en fin d’article, la bande annonce de son film. Bien plus, je vous recommande son livre polaire! 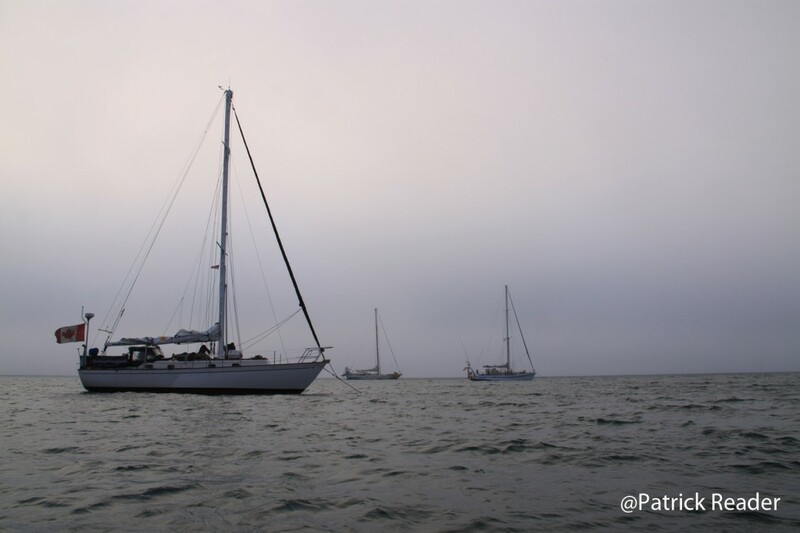 – In 2009, you did by sail the crossing of the mythical Arctic Northwest Passage from West to East, what are your 3 most best memories of your sailing expedition? 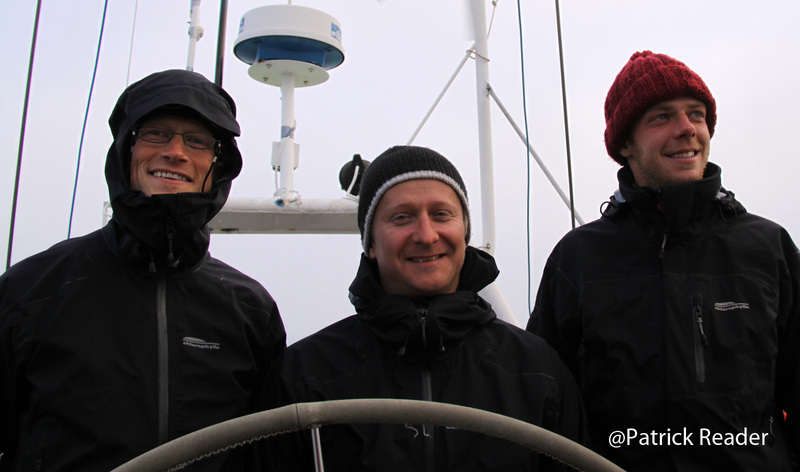 My three best memories would be: Our first day in the ice, in the Arctic Ocean. It made us feel like we’d arrived, this was no longer just a dream. Secondly, the simple beauty of the Arctic has long remained in my mind. 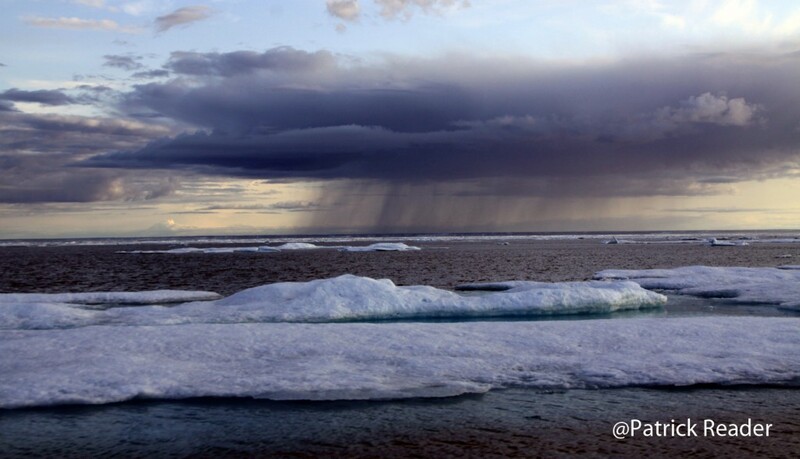 There are few places as visually stunning as the Arctic sea, with its ice and clear skies. I still dream of it, nearly 4 years later. And thirdly, and most importantly, the people we met. We met so many wise, kind and helpful people that I’ll always remember the Arctic for its people more than anything else. – You published last year a wonderful & instructive expedition book titled « The New Northwest Passage ». Now the film is coming out (here below, its video trailer). What are the differences between the book and the film ? What is the main message you wish to share with everyone ? The film shows what the book tells. The film also focuses more on the sailing adventure and the logistics of that kind of journey, while the book spends more time talking about what we learned from the people we met. Although, the film also introduces the viewer to some characters. I think the book and film both have similar messages, and that is a) go after your dream, make that journey, take that risk. And secondly, that climate change is about people, and it affects people. We saw that, and I tried to show that in the book and the film. 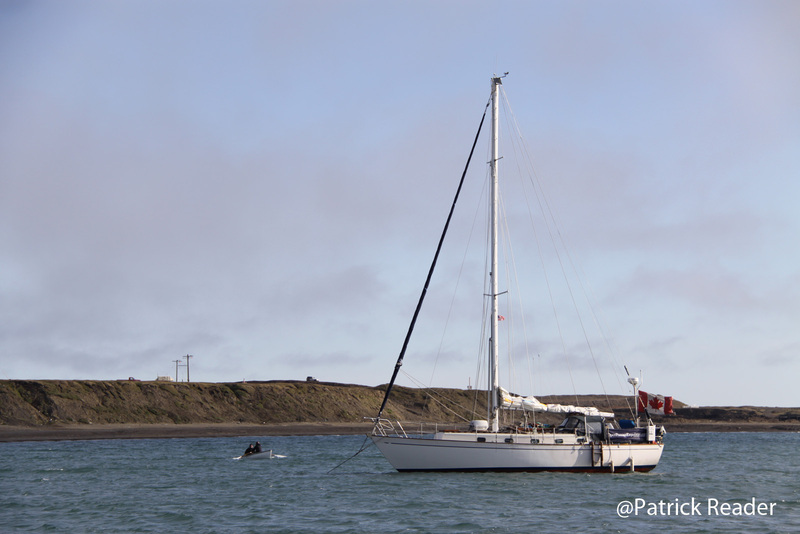 The 40-foot yacht Silent Sound anchored in Barrow, Alaska next to 2 other sailing vessels (Baloum Gwen & Ocean Watch) attempting all 3 the crossing of the Northwest Passage (+-6000km in the Arctic Ocean). – Where can one see the film or buy the book ? The book is available on Amazon.com as well as in book stores in Canada and the UK. The film is still being entered in festivals, but hopefully will be out on DVD by the end of the year. – What are for you the 2 most crucial solutions to make sure we preserve all the Arctic, its wildlife and pack-ice ? I don’t think it’s for me to come up with the solution, I think we need to give people living in the Arctic the tools to do this themselves, because it’s their home, their land. So, I’d say we should put control in the hands of the people in the Arctic, and secondly, consume less. Over consumption is one of our societies greatest problems, not just in terms of Arctic preservation. – Do you imagine in a few years time hundred of tankers crossing the Northwest passage to reach faster Antwerp (Belgium) from Hong Kong (China)? No. 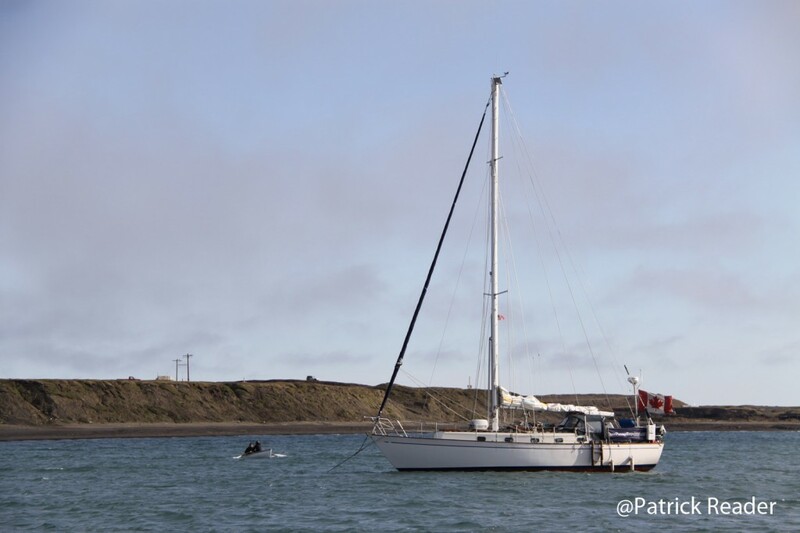 There will be more traffic through the passage, as there already is, but it will still be many years before the Northwest Passage becomes a popular shipping route because it remains poorly charted, shallow and unpredictable. – Do you have any Polar expedition planned ? If yes, could you please tell us more ? No polar expeditions planned at the moment. – Any educational and green awareness messages you wish to share here with Arctic05′ visitors ? Only that education is key to this whole process. The more people see, hear, read and experience, the easier it is to change behavior. Cameron a produit un film documentaire sur son aventure. New Northwest Passage – Trailer from Cameron Dueck on Vimeo.